As retargeting becomes more popular and prevalent, everyone is focused on its future as marketers search for new ways to leverage its power. To give you the inside track on this tracking trend, ClickZ.com predicted what will lead to its evolution. 1. Mobile Retargeting Will Move More Mainstream – Mobile devices now comprise nearly one-quarter of all traffic to e-commerce sites worldwide and that number is sure to soar as smartphones and tablets continue to take over the world. As a result, mobile advertising technology has rapidly evolved to capture these consumers. This has led to the rise of retargeting, which has proven extremely effective at re-engaging visitors to a company’s digital properties. In 2014, retargeting will continue to reign as more and more advertising and branding experts discover its ability to tap and track prospective customers. 3. Facebook Exchange Will Convert More Marketers – Facebook Exchange (FBX) has already made a big impression by adding substantially to impression volumes for advertisers. As more and more millennials make social networking a way of life, marketers will realize that the key to converting these consumers will be serving dynamic ads based on user preference via high-visibility social media space. And that’s the beauty of Facebook Exchange. 4. E-Commerce Will Pay Off in Emerging Markets – With countries like China, Japan, and Indonesia driving maximum growth and sales in global e-commerce, these markets will go from emerging to enormous in 2014. This will lead the market’s advertisers to adopt and adapt retargeting methods to maximize their reach. 5. 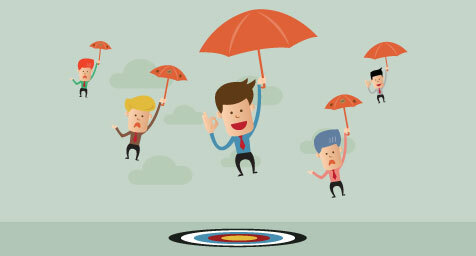 More Industries Will Focus on Retargeting – Since retargeting has proven its power for B2C brands in e-commerce and online travel, its appeal will extend to other industries like insurance, financial, and automotive. And B2B brands will start embracing the method more as marketers realize how it leads to better branding awareness and product promotion. As we embark on 2014, retargeting is poised to prosper as new technology, countries, and industries convert to its marketing magic. See what’s making an impact on advertising. Contact MDG Advertising today at 561-338-7797, or visit mdgadvertising.com.